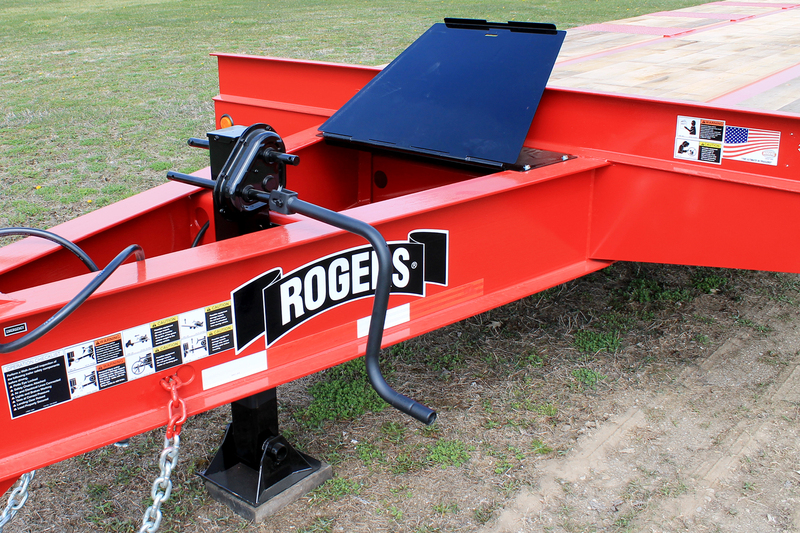 The ROGERS® TAG25XL 25-ton tag-along trailer is built strong to provide years of reliable service. 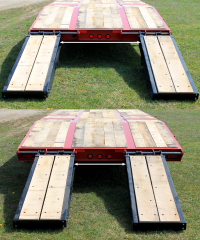 It features a spacious platform deck that is 8'-6" wide by 22'-0" long, an 8° incline beavertail and 72" long "E-Z Flip" ramps for safe and easy loading and an 80" long drawbar for better weight distribution and superior handling. 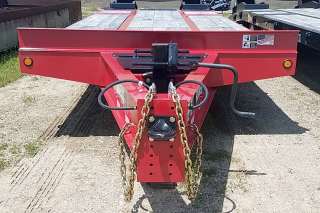 The pintle eye is adjustable to six positions using common tools. 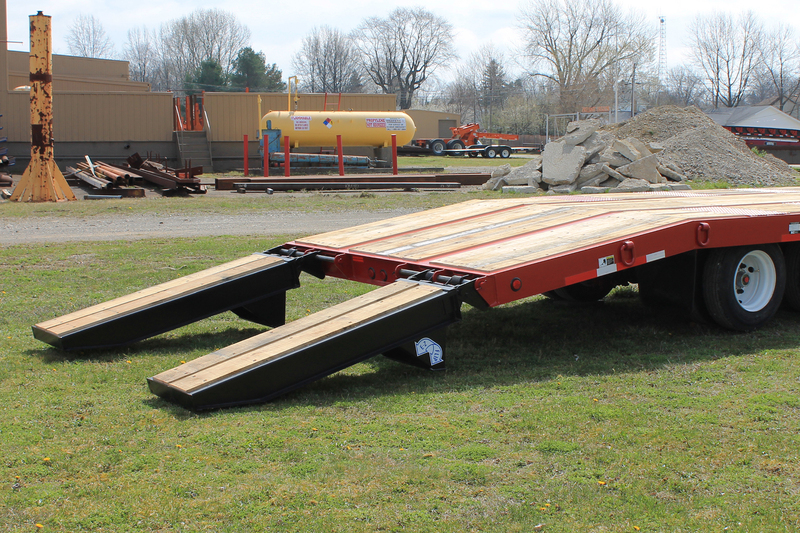 The 80 inch long drawbar provides enhanced weight distribution and superior handling. 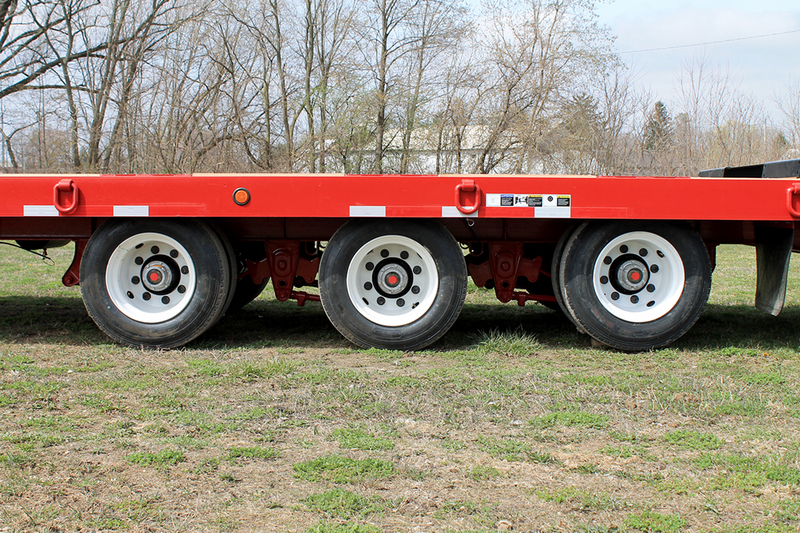 Heavy-duty spring suspension provides a smooth and stable ride. 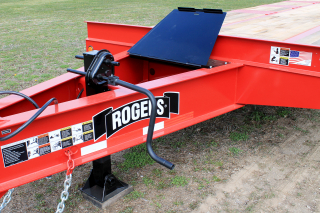 ROGERS tag-along trailers are equipped with premium 4S/2M Antilock brake systems. The E-Z Flip ramps are laterally adjustable for greater versatility.